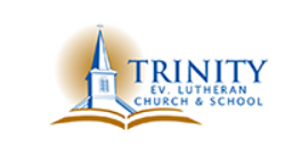 I am originally from Ohio but moved to Wisconsin in 1992 to teach here at Trinity. Most of my family still lives in Ohio so I love to get back there to visit as much as possible. Concordia College in Ann Arbor, Michigan is where I went to college for my degree in education. I am married and have two daughters. Samantha is a junior at UW Platteville and Emma is a freshman at Kettle Moraine Lutheran High School. My family loves to go camping and spend time together outside. I teach Religion, Math, Reading, Spelling, English, Handwriting, Science, and Social Studies to the first and second graders. I also have Physical Education with Pre K through fourth grade. I became a lutheran school teacher so that I can proclaim God’s love to little children. Small children have always had a special place in my heart and I couldn’t imagine doing anything else. God has called me to teach the little ones about their Savior and it is a wonderful job to have!